There are a lot in this collection to choose from; highlighter, eyeshadow palette, lipstick, blusher, bronzer and even a makeup spray! You name it, they got it all covered but I already had my eyes on the foundation and primer after reading all about it online. The setting powder on the other hand is an impulse buy, I tricked my mind into buying it just because I'm running out of my favourite loose powder. What can I say, a trio is always better than a duo, right? So what are you waiting for lovelies, keep on reading to find out my full thoughts of this collection! According to their official site, Too Faced Primed & Peachy Cooling Matte Perfecting Primer is a cooling, mattifying primer that blurs, smooths and brightens the complexion. It's infused with exclusive Comfort Matte Technology to delivers a soft focus finish with lightweight, comfortable wear that offers up to 12 hours of shine control. It's formulated without Parabens, Sulfates and Phthalates and enhanced with peaches and sweet fig milk to help keeping the skin moisturized, comfortable and beautifully matte. Based on the website information, the Too Faced Peach Perfect Comfort Matte Foundation is a transfer resistant, medium coverage foundation that creates a smooth canvas for flawless, comfortable, matte wear that is never cakey or mask-like. It's photo-friendly, smooth, flawless and comfortable with soft-focus, velvety finish. Infused with peach and sweet fig cream, this oil controlling formula delivers up to 14 hours of wear and features exclusive Comfort Matte Technology to suit normal, dry, combination or oily skin. It's also vegan, cruelty-free and gluten-free. What can I say, I really love this foundation! Packaging wise, it's easy to disperse the product and looks cute enough for my vanity. I picked the same shade like my other Too Faced foundation, Born This Way which is a good call because it matched me perfectly. The texture is slightly watery with light to medium coverage. It didn't settle into my fine lines and looks or feels drying on the skin. The best thing about it is, it really delivers in giving me a long lasting matte finish. 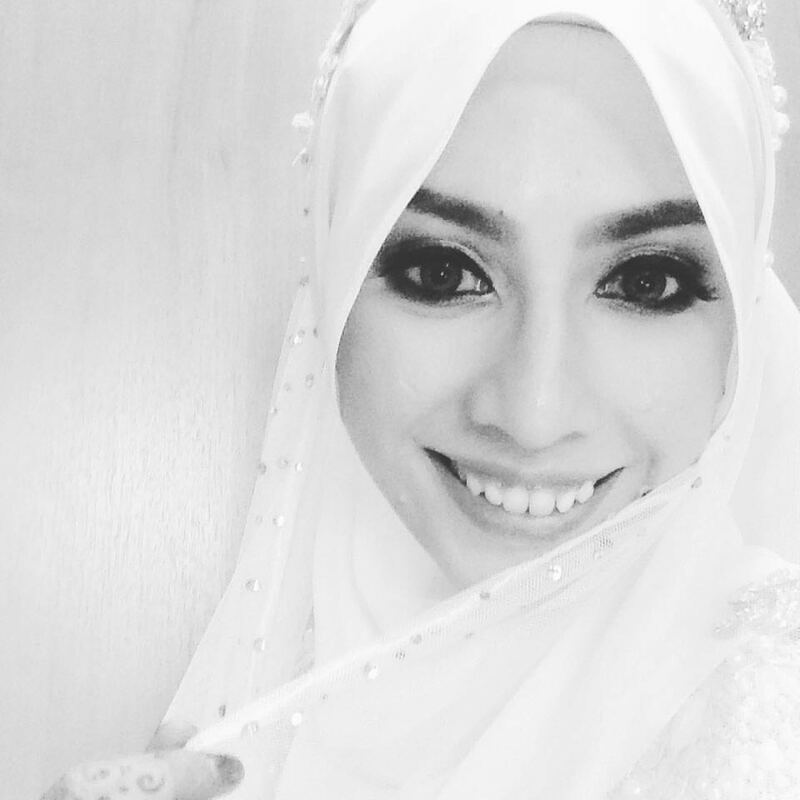 The only thing I wish I can change is perhaps the coverage, other than it's perfect for me! Last but not least is the Too Faced Peach Perfect Mattifying Loose Setting Powder. It basically claimed to be a lightweight, transfer-resistant, peach tinted mattifying loose powder that works to visibly brighten skin while creating a silky smooth, matte finish that lasts up to 14 hours. 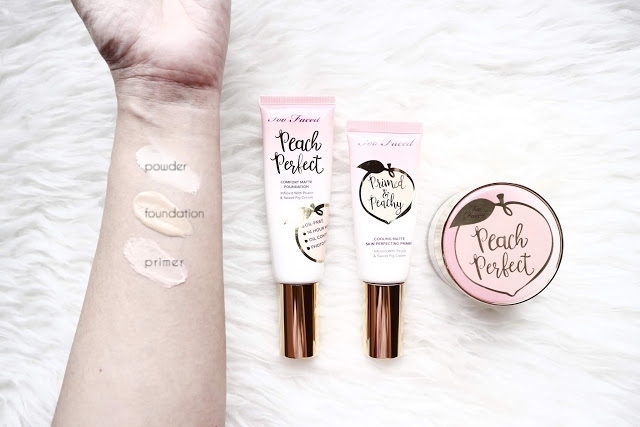 The universal peach tint powder is also formulated without harmful ingredients and enhanced with anti-oxidant benefits to comfort and moisturized your skin. Not only that, besides setting your makeup, it's also great for under-eye baking. I didn't plan to purchase this powder initially but I'm so glad I did. I truly like that it comes with a cover so I can safely prevent it from spilled all over the lid. Another thing that deserve a mention is the finely milled powder itself. It's really lived up to its hype in terms of providing me with a setting powder that's didn't give flashback, cling to dry patches or crease. It smells and feels wonderful on the skin but sadly, it's not as translucent as its names suggested. I can probably get away with wearing it, deeper skintone women however might feel differently. I love Peach Perfect's whimsical design. First time hearing about it but it definitely is interesting.